Aioli is traditionally a creamy garlic dip. Chipotle aioli serves up smoky, subtle heat while complementing the corn cakes. Canola oil’s mildness lets the flavors of chile and toasted corn come through. 1. In small bowl, combine sour cream and adobo sauce. Add remaining aioli ingredients and stir until smooth. Set aside. 2. In medium bowl, combine egg whites and canola mayonnaise and stir until well blended. Stir in remaining corn cake ingredients. 3. Coat large, nonstick skillet with canola oil cooking spray. Add 1/2 Tbsp (7 mL) canola oil to skillet and heat over medium heat. Tilt skillet to lightly coat bottom of pan. Working in two batches, spoon rounded tablespoon of corn mixture into skillet, making eight mounds. Flatten slightly for even thickness, cook 2 minutes on each side or until golden, and place on serving platter. Repeat with remaining canola oil and corn mixture. 4. 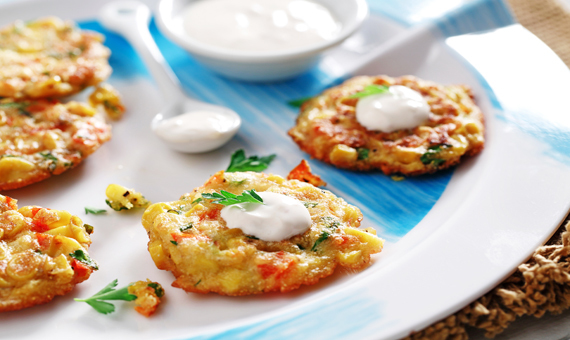 Serve corn cakes with aioli. Tip: Adobo sauce can be purchased in a jar or taken from canned chipotle chile peppers packed in the sauce. This is a hearty dish that works great with a side of cornbread. Add some shredded cheddar on top for more flavor! When fresh corn is available, use about 3 cobs in place of frozen corn; cook and then cut the kernels from the cobs. Roasted corn is especially tasty. 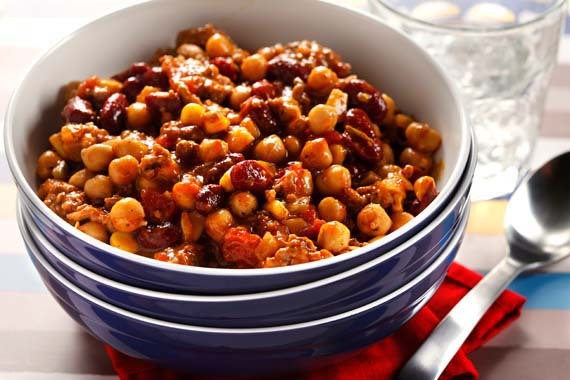 For a spicier soup, stir in a pinch of cayenne pepper or red pepper flakes along with the black pepper. 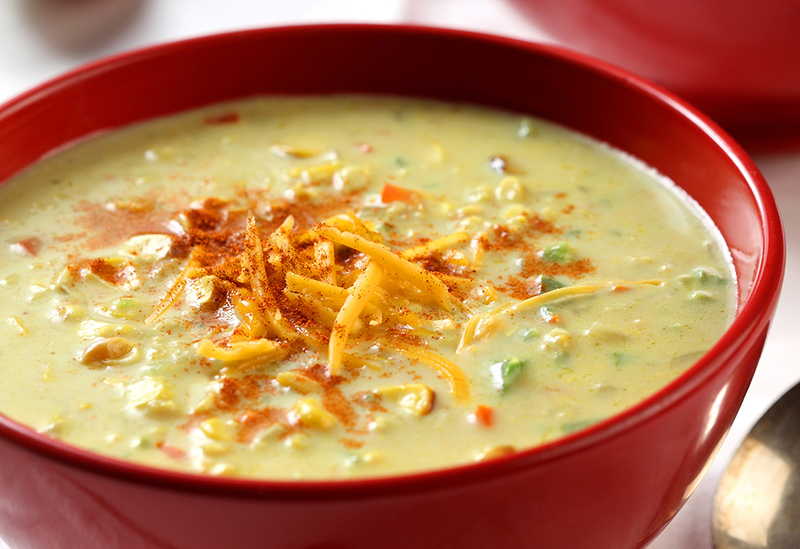 The neutral taste of canola oil allows the vibrant flavors in this main course soup to shine.